PSA: Limited Run Games Offering Ys Origin & Asdivine Hearts Starting Tomorrow, Aug 25! 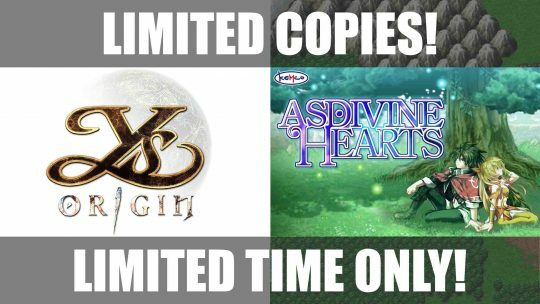 Classic RPGs Ys Origin & Asdivine Hearts will be on sale tomorrow with a limited number of copies! 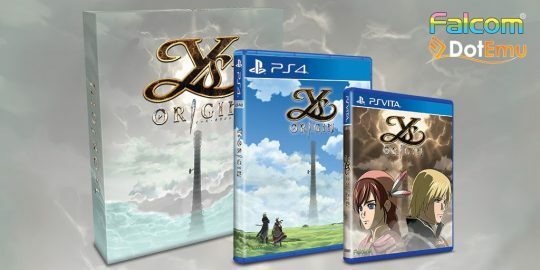 “Ys: Origin” & “Asdivine Hearts” Physical Release Next Friday! Extra! Extra! “Ys: Origin” & “Asdivine Hearts” getting Physical Editions! Read all about how to get it!